I am the current owner of a 2008 Cayman S, and am considering purchasing a GT3 this year. I would sell the Cayman and be in the market for a used car that would be suitable for weekend driving as well as some track days. Is there a buyer's guide of some sort either on this site or that people commonly use to get started? I'd love a GT3 RS 4.0 but my budget is more like a 996 or 997.1. Are there any common pitfalls or models to avoid that I should keep in mind? Recently I sold my '06 Cayman S and bought an '04 GT3. Very different cars. Over the past 30+ years I've owned Porsches ('73T, RS & RSR replicas, '80s Carrera TurboLooks, 914s and a the Cayman), the GT3 is the fastest most driver involved one but also one of the ruffest riding. The only one my wife has like the ride of was the Cayman S - the rest she thought of as "Flintstone's cars". So watch out for what you wish for. If you are set on a GT3 for your purposes, you have really good options now on the market, albeit some are pricer and are at the top of the price ladder. I'd say stay away from RS 4.0 cars as their prices are in the collector range and if you were to track these cars at all, the downside on price will be major. If you were to obtain a GT3 primarily for tracking, I'd say the best value is the 996. 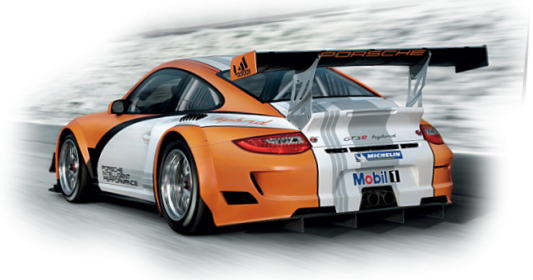 For dual purpose GT3, I think the 997.1 and .2 are the best choices, excluding the 991 at this time. I think the 997.2 GT3 is the most technically advanced dual-purpose car there is, fulfilling daily/weekend duties and track performance superbly. The 997.1 and .2 RS cars also great choices, but the slider is more towards weekend/track vs. dd purposes, if nothing else for the attention-grabbing looks of the cars. All these are personal preferences of course. However, technically speaking the 997.2 GT3 is a tangibly better performance and daily driver than the 997.1 GT3 RS, and given their market prices are close enough today and it may be difficult choice between the two. PPI through a trusted dealer is a must also; however, a general PPI even for CPO purposes do not check some of the details; such as bushings, chassis rigidity, shocks, etc. During a test drive, carefully listen to the start up of the engine and while running, for unusual clicking or whining noises, which are not good indicators. Not all such noises are indications of a problem, but maybe an indication of a brewing issue for the long turn. I'll supplement this when I have the time with 997 information within the next couple of days.